MONTREAL - Justin Trudeau will run again in the 2019 federal election. 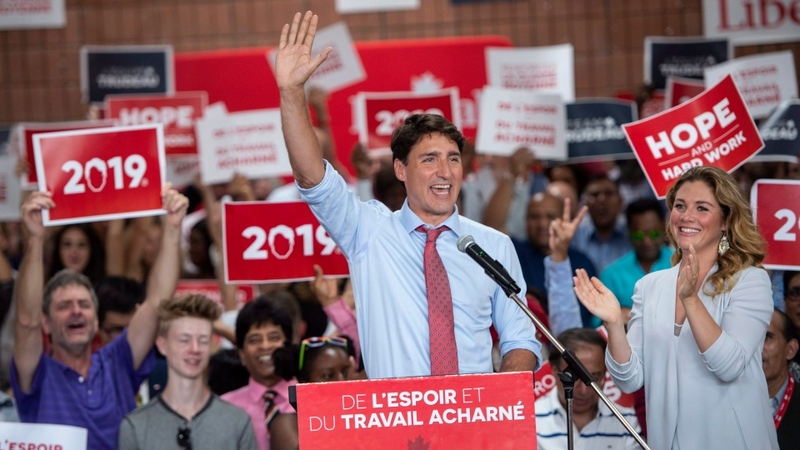 The partisan crowd cheered as Trudeau reaffirmed his belief in what he called "positive politics," and took jabs at Conservative Leader Andrew Scheer, whom he accused of exploiting fear and division. The Liberal leader also promised to tackle a number of challenges that include protecting Canada's oceans, raising the standard of living for Indigenous Peoples and narrowing the gap between rich and poor.